This salad is pink. Obviously. It allegedly got its name not because it was pink, but because the elderly lady who always brought it to parties had pink hair. Have you seen adorable ladies like this? The ones with white hair that is lightly tinged pink? I always wonder how they got their hair that color. Did they do it on purpose, or was it achieved by some chemical change that accompanied old age? Hmm. Maybe I will want to be a pink-haired grandmother. Whether or not I get pink hair, I will tell you what I will bring to parties and family gatherings for the remainder of my life. It is this salad. I’m not sure it should even be called “salad,” unless there is a “dessert salad” category I am unaware of. It is so dang delicious. It is so dang easy to make. It is so dang pretty. , you can slice your strawberries quicker than you ever thought possible!) 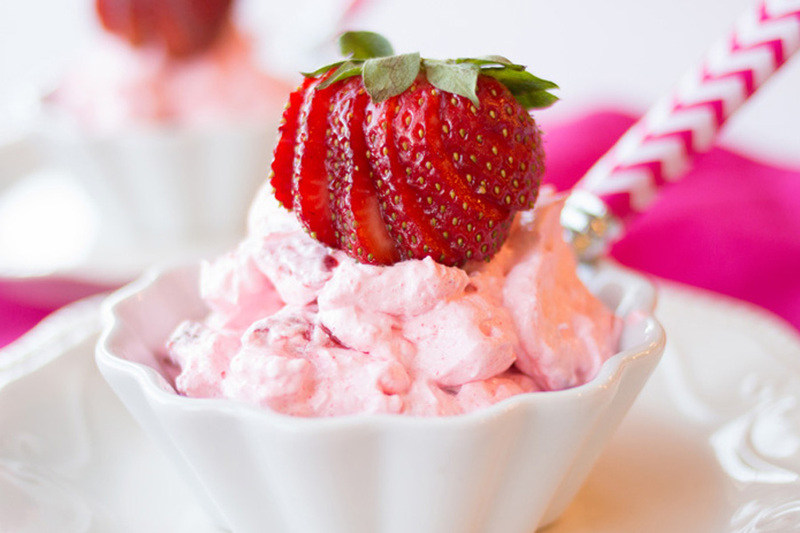 All you do is mix together one box of Strawberry Jello powder, one small tub of cottage cheese, one tub of whipped cream, and the strawberries. That’s it! 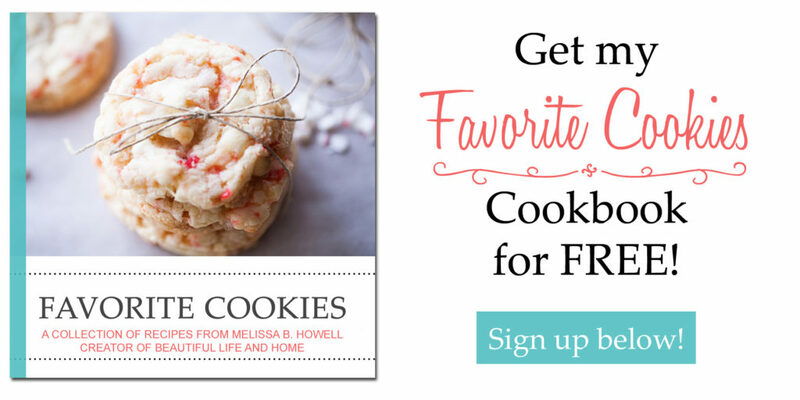 This is so great to bring to parties because you can just bring the ingredients and literally whip it up right there so it does not suffer any travel stress. For every barbecue, family reunion, pool party, or church social, this amazing salad should make an appearance. It is a perfect last-minute concoction when you forgot you were supposed to bring something to a party that starts in 30 minutes. Don’t wait to make this salad. Pure nirvana awaits. This recipe originally appeared on a blog I contribute to called Somewhat Simple. 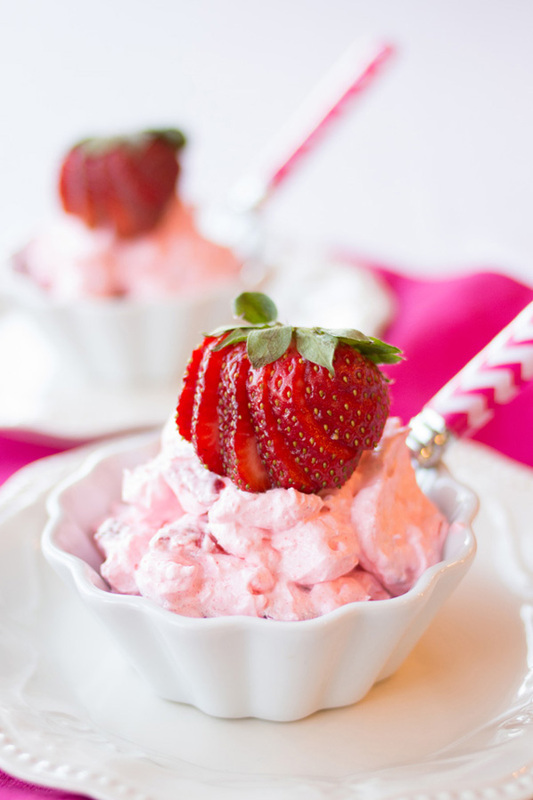 Put the whipped topping and strawberry Jello into a large bowl and stir or whisk until the Jello has dissolved. Fold in the strawberries and cottage cheese. I would not consider this a salad although it does look good. More like a dessert. Sounds yummy. Sorry I didn’t have this yesterday when I needed to take something to the quilting potluck that I hadn’t planned to go to since the road was going to be closed but turned out not to be. Maybe next month. Wow! 3 ‘Dang’s in one dessert! I am going to have to make this one for our group potluck on Sunday Melissa. I will of course send all the appreciation (I am sure to get) your way.